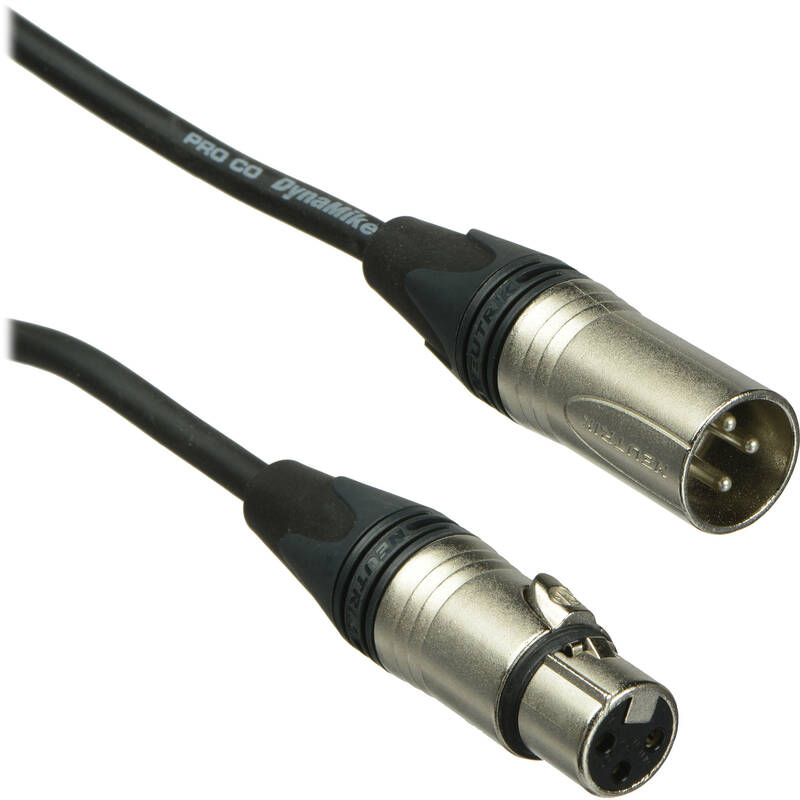 This Pro Co Sound Excellines XLR Microphone Cable is a lo-z microphone cable that Neutrik's IDC (insulation displacementconnection) XLR connectors and Pro Co's time tested 224S (2-conductor, 24 gauge, spiral shield) cable. Quick to assemble using a combination of humans and robots, and very reliable because of the fabulous Neutrik strain relief, Excellines offer decent flexibility, good shielding and an extremely popular price. Box Dimensions (LxWxH) 9.37 x 3.386 x 0.75"
Excellines XLR Male to XLR Female Microphone Cable - 25' is rated 4.8 out of 5 by 4. Rated 5 out of 5 by Aaron M. from Great cable for the money These cables are a great deal for the price. They have Neutrik connectors and 224S cable. I have a pair of these cables for a about two years and flawless. Decided to purge out all my cheaper cables and replaced them with the Excellines. For a weekend worrier like me they are the ticket. Rated 4 out of 5 by Baldkat82 from Good quality XLR cables for low cost These are the cheapest XLR cables I've found that have Neutrik branded ends on them. They seem to be made with a good quality cable too. The neutrik ends look different than what I'm used to, but they seem good. XLR ends are very easy to disassemble if you should need to fix them. Rated 5 out of 5 by Dan from Affordable cable This cable is a great economical solution for those looking for an affordable cable for most environmenst and applications. Rated 5 out of 5 by Charles from ProCo always a top choice You'll never, ever be disappointed with the quality of ProCo cables in your studio. Review ends.